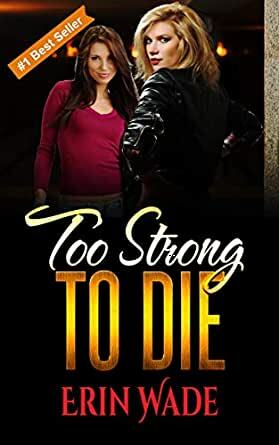 Their love scorched the Texas badlands as Texas Ranger Major Ricky Strong and Senator Christine Richmond try to maintain their "friendship" when they become embroiled in situations that could make or destroy their careers. Ricky hunts a savage serial killer while trying to provide protection for the headstrong Senator when Christine takes on the task of securing agreements with Mexico to build a wall along the Texas border. The two become embroiled in life and death situations as they battle to keep each other alive. Fast action and romance make this one of the top romantic thrillers of the year. With a degree in accounting, I set out to conquer my quiet little corner of the world. My plan was to work for a major accounting firm and live a comfortable life. One never knows where fate will lead. I soon discovered I liked taking chances and started acquiring small parcels of land to resale. Within a year, I found myself immersed in the fast world of land brokering. My native state, Texas, is a wide-open community of wonderful people and vast amounts of land. Opportunities in Texas are limitless. Texas and the fact that I am a workaholic were the perfect recipe for success. I have visited every state in the U.S. and lived in some, but Texas is always the one that calls me home. I thought I had the world by the tail; a nice little ranch that bordered a Texas lake, a horse and a few head of cattle. Life was good. Then I met a woman and life was no longer good, it was amazing. Now my life is an adventure of love and laughter. My partner encouraged me to begin writing. I published my first book in 2014 and have been successful in the Mystery/Suspense genre. Too Strong to Die is my first gay book. I am proud to say that after one week, on 2/1/2017, it is the #1 (Paid) Lesbian book on Amazon. Thank you so much for making it happen. Erin Wade is a good storyteller. This book had a juicy mystery, an interesting romance, and was just the kind of enjoyable candy I like to read for relaxation....EXCEPT I kept being jarred by praise of all things conservative and right wing, with derogatory descriptions of other points of view. Hearing another side to controversial social issues doesn't bother me -- it could have been a 'teaching moment' for Ms. Wade to explain why Texans want a wall between them and Mexico. But her views were stated in a derogatory way - not just by her characters (which could be understandable), but in the narration as well. I read to relax and enjoy, not be irritated every five pages by smug political rants (i.e., "liberal nuts," "lame-stream media," etc.). I started to wonder if the book were written by a male Trump supporter and apologist! All of this aside, there were some proofreading errors that were also distracting. She needs a better editor and proofreader. Someone who might have tempered her derogatory statements a bit and corrected the errors. Example: Going back and forth between "Senator Richmond" and "Senator Richardson." It's really too bad, because, as I said, she's a interesting storyteller. I am a voracious reader of lesbian books--I buy a lot of them. When I find a good book, I read everything by that author. I won't be reading any more of Ms. Wade's stuff. Her bias is so distracting, it takes away from her story. Really too bad. I'll be honest, I didn't have a clue who the bad guy was right up till I had read 99 percent of the book, and that's only because they told me! I believe that Ms. Wade could continue with the adventures of Christine and Rickey! Of course, it's a great stand alone read. This one will keep you on your toes from beginning to the end. Follow these two gorgeous ladies all the way to the Governor's mansion with a few twists and turns along the way. Great story line and suspenseful to the end. I would have liked to have seen the author develop the two main characters a bit more. Perhaps she will make this into a series and the characters will be expanded upon for the reader. A wonderful read to drift off into another world with these two main characters. I found the book entertaining and I am grateful that the author is churning out novels with a lesbian theme and strong female characters with a happy ending. I will continue to read her novels and encourage others to do as well. I read her books for entertainment and not for any political comments or justification for anything written in the book that may be perceived as political and different from my own beliefs, experiences. For example, the Texas border/wall. It is part of the story line and setting and could be considered a bit distracting; but it is a fictional novel set in Texas. Easy enough to keep at bay, ones thoughts if different from the written one, as the reader reads the developing relationship between the two characters. 5.0 out of 5 starsAn astonishing story! I won’t go into details because I wouldn't know where to start. One thing is very clear, this will definitely go on my re-read list. The steady stream of actions was brilliant and every action kept me on the edge of my seat. An astonishing, intense, heart racing roller coaster of emotions with compelling characters and a tumultuous love story. The author did an excellent job with all the unexpected twists. Two thumbs up! I loved this story! The story was great with enough players to really keep you guessing about who the bad guy is. The romance between Ricki and Chris is also very well done. While I think both characters are well developed, Chris had a bit more growth to overcome first the relationship shock and then holding onto the relationship.